The Emperor has done so much for our Galaxy. He's given us stability, prosperity, order and employment. "But what about security?" we hear you ask. "How can you make sure our children are safe in bed at night from the Rebels?" We've listened and now, the Emperor has delivered. 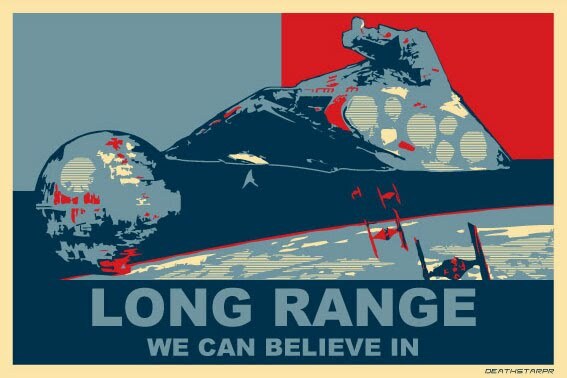 The Death Star: Long Range you can believe in.